June = zero downloads = £0 = zero motivation to upload here. And why can’t I opt to stay signed into these forums instad of teadiously signing in with a captch every time ? Ian, send me an email. SFL - I presume that the customer re-bought an image they had bought in the past - I would be interested to know why Alamy deleted it? It was an image with A prefix so very old one. It was copyright issue with London Underground sign. Do you remember in the past Alamy deleted all the images with London Underground signs. It was one of those. Sorry for late reply. Sounds reassuring. You have wide appeal. I only have about 30% of that. I was strangely gleeful that despite being in the UK newspaper scheme, I didn't have any sales to newspapers. Also, my first ever licence from Alamy ( ARP836 ) has sold multiple times now, including in June. There are many of the same subject matter here available, including up to date ones. But mine taken in the mid 1990's on trannie film keeps earning for me. Do you remember in the past Alamy deleted all the images with London Underground signs. Sorry to hear that, Allan. Do you think that adding more info to your captions might help matters? At last moment, I sold 1 photo for 25$ gross. I sighed.. I hope that I’ll not have a blank month in July. The most bizarre thing is one of the sold images were deleted by Alamy long time ago, but sold again. How???? Though I am not complaining. Same here. An image of the Olympic flag that Alamy removed some years ago. No, there are still plenty of them. Are they not allowed? I didn’t know about the Olympic flag either. It would perhaps be helpful if Alamy had a list somewhere of what brands/concepts are not allowed. Or is there one already? And then they often requests images of specific products. This week it’s Findus Crispy pancakes. There isn't a list and nothing happens until a brand owner leans on Alamy to remove them. If the logo is in context and not the focus if the image it should be safe. Had a packet of those in the freezer but they didn't say how they wanted them photographed. i.e. Product with box, without box, one or two, cooked or frozen, with fries, without fries, on a plate, or on a tray or with a white background, so I didn't bother. Extra info would be helpful. You can go on their twitter feed and ask. I’ve done that and i got the extra info. So this was already there when the search for these pancakes occurred, which was 3 times between 05-Mar-2018 and 09-Mar-2018, according to AoA. My guess is that it was the research that produced this article in the Guardian of March 17. Same here, but Findus pancakes are mentioned in the article and it may have been that a search was made for each of the referenced foods. Interestingly, the article referenced Orange Club biscuits, but the caption of the photo changed that simply to Club Biscuits. As the others have said, I only see biscuits but I think your point is that the need for Findus pancake pics are no longer required and probably weren't when Alamy posted the need. I did tweet as suggested and the reply says ..."Hi Douglas, this picture need is taken from customer search terms so we don't have any extra info. When we do have extra details we will always tweet them." If this is how Alamy select and communicate picture needs and not directly from a customer enquiry, it calls into question all Alamy requests to us. This has been discussed here in the forum before. It's not as though we are 'competing for a customer request' (that searcher has given up, satisficed with something else or gone elsewhere) but highlighting something which seems not to be in the collection, but possibly may be searched for in future. Exactly. The client has chosen something else entirely. Either because he/she didn't like the images of the Findus pancakes enough or he/she thought an image of chocolate would resonate more with their readers. So if there would have been more requests for those pancakes, I would go for a style that resembles the image of the chocolate bar, for that one was chosen over the pancake images that were available at the time of the search. And over all other chocolate bars, which can give you another clue as to which style you should be looking for. Now would I shoot a Findus pancake? Probably not. There have been stories about those pancakes in the past: They had a sort of New Coke / Original Coke thing a couple of years ago and before that they had the Romanian/Dutch/Cypriot/French/Italian horse meat scandal for all Findus products. Anyway that's what I read googling the brand on the web for 10 minutes or so. If you do want to take some good advice from all this, it's that you could go and find searches for food in AoA, with a much higher UCO and where the results are not like that chocolate bar image. 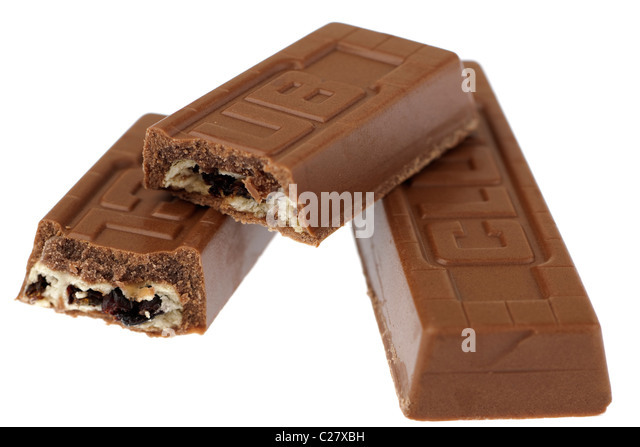 Then go and shoot that food stuff in the style of the chocolate bar. If you want sales to UK newspapers that is. Maybe even sales to other clients, but that can only be found out by trying. As a sign in the restaurant this evening read: he who never fails, never makes anything. Interesting take on things, food for thought. 19 sales but nothing spectacular. I'm thinking that it's not a good idea to publish the gross total as that, too often, demonstrates the poor fees that we are receiving. I too have thought about the wisdom of posting the gross total even though I always do. It would be good to arrive at a consensus on this. That said, adjectives can also be a tip off -- e.g. miserable, unspeakable, disappointing prices, etc. "Nothing spectacular" is pretty safe, though. I have to agree that posting gross totals is not helpful. But what is helpful is to know if the month was average, above average or below average (for each contributor)....we can better gauge if there is a trend happening. I know that is not scientific but maybe more helpful than knowing the $$$.